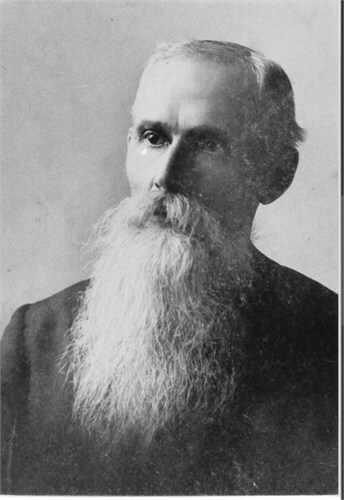 Frank Nelson MILLER (1858 – 1903) is Alex’s Great Great Grandfather; one of eight in this generation of his line. 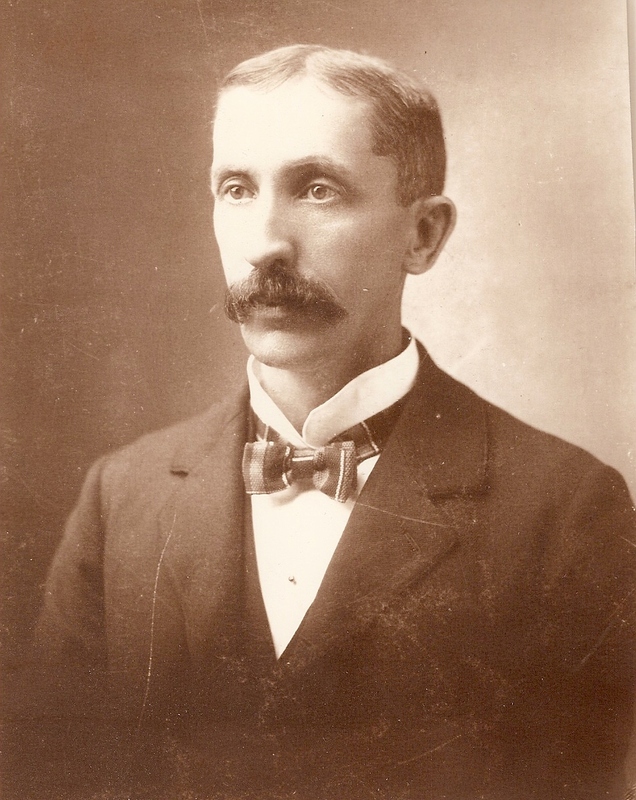 Frank Nelson Miller was born on 18 June 1858 in Utica, Dane, Wisconsin. His parents were George MILLER and Mary ESTEY. Frank married Agnes Genevieve HENRY on 4 Jan 1896 in Fresno, Calif. Frank died on 29 Dec 1903 in Willows, Glenn, California of pneumonia. 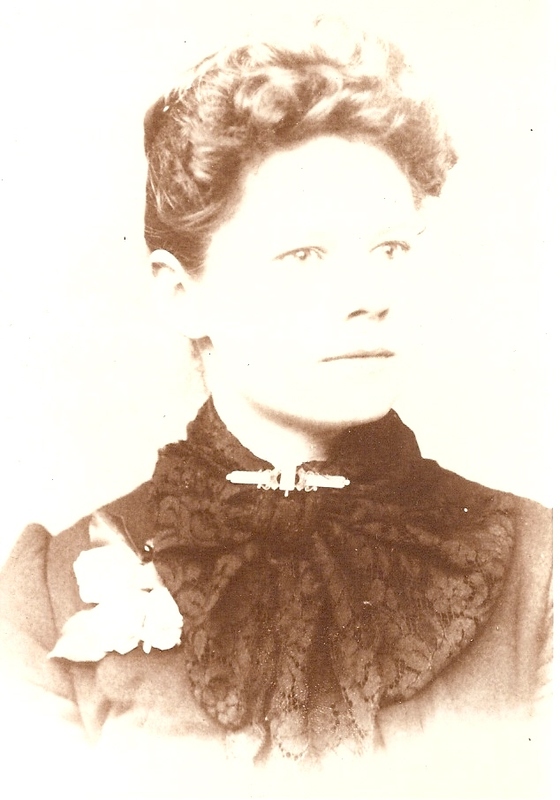 Agnes Genevieve Henry was born on 26 May 1863 in Linden, San Joaquin, California. Her parents were John HENRY and Hannah LARKIN. 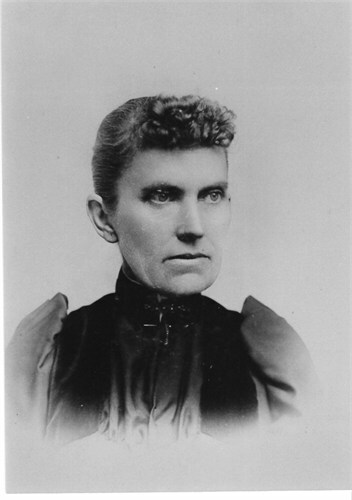 She graduated in the 28th class of the California State Normal School (future San Jose State) in 1885. 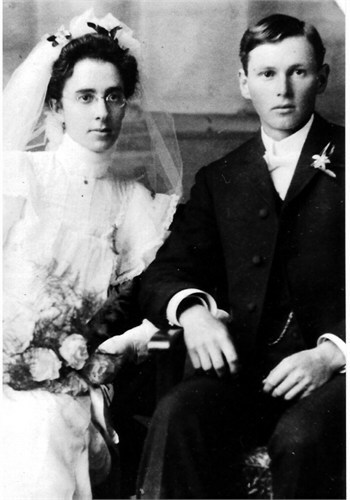 After Frank died, Agnes married John Neale 22 Feb 1911. Agnes died 10 Jun 1931 in San Francisco. John Neale was born about 1850 in Massachusetts. He was 14 years Agnes’ senior. Dear Son, Let virtue be your aim. 20 May 1898 – F. N. Miller of the commercial high school started a movement to establish a Red Cross society in San Diego. The only authorized society on the West Coast at that time was in San Francisco. Twenty Red Cross nurses accompanied the first Philippine expedition. Frank was a member of the Royal Arcanum and of the Fraternal Aid. His outstanding characteristics were love of children, considerate, persevering, capable and thorough. Agnes attended high school in a convent. was a normal school graduate from San Jose Normal School. and was a teacher before she married. 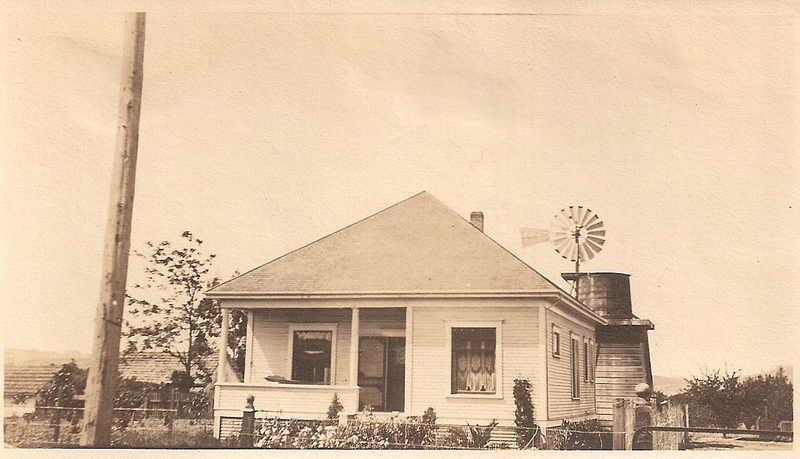 After Frank died young (he was a principal in Willows CA at the time), Agnes took her two young children, Genevieve and Henry, and went to Sebastopol, California were there were Miller relatives. Eugene Edgar Miller was living in the North Sebastobol Precinct in the Analy Township, Somona County in the 1900 census.. Analy has been Sebastopol’s high school name since 1908. Eugene was married to Lillian M Horton and they had nine children living at home at the time. Lillian was born 1857 in Minnesota. Eugene’s family arrived in Sebastopol, CA in 1891. Eugene’s widow Lillian, in her old age, said that one spring after a particularly hard winter in Wisconsin. Eugene threw down the snow shovel and said he was never going to shovel any more ****** snow. Eugene was seven years older than Frank and my guess is he tried to be in charge of Agnes’ affairs. Agnes was probably eager to be on her own again. She was 33 when she got married and had been on her own for a long time before she married. Genevieve was fond of Uncle Gene and Aunt Lillian. Their daughter Etta married Edward Nelson, and she and mother corresponded. Genevieve always went to visit Etta when she was in Northern California. My mother remembers driving down a dirt road to a ranch house to visit them when her family went on the famous trip to Victoria in the summer of 1941. In the 1930 census, Frank’s son Henry Commercial was an Insurance Comptroller in San Francisco for the Worker’s Compensation Fund living as a single man with his widowed mother. came came to Genevieve’s funeral in 1965, and later came out to the house to meet me. My mom has a sweet memory of him holding me on his lap and reading a story. He was very close to my grandmother , particularly after their mother died, and he spent time in San Diego on vacations. He always sent my mom birthday present—an Oz book. Obviously my grandmother’s suggestion. My mom used to look at the titles listed in order and figure out how old she would have to be to get them all. When they family went to San Francisco, they would meet him for lunch for a visit. i. Alice Esther Miller (8 Mar 1878 Lincoln, Worth, Iowa – 11 Mar 1955) m. [__?__] Stubbs By the 1910 census, Alice was divorced and living with her parents and four year old son Richard Stubbs in Ashland, Oregon. ii. George Raymond Miller (17 Dec 1879 Lincoln, Worth, Iowa – 20 Feb 1956 ) m. Caroline L. [__?__] (1882 California – ) Caroline’s parents were born in Germany. S Emma [__?__] In the 1910 census George and Caroline were living in Hydesville, Humboldt, California where George was working as a millright. In the 1920 census, George and Caroline had moved to Idaho Falls, Bonneville, Idaho. In his 1918 World War I Draft Registration, George was working as a millright machinist at the Pacific Lumber Company in Scotia, Humboldt, California. He was married to Caroline L. [__?__] His form showed the loss of his left leg below the knee. In his 1942 Draft Regislation, he his closest contact was Mrs. Isabelle W. Miller and he was working at the Klammath Falls Machine and Locomotive Shop in Klamath Falls, Oregon. In his 1942 draft registration Clarence and Edith were living at 564 North Main Street in Sebastopol, California and he was working for Rooney T. Miller’s Miller Trucking Service in Sebestopol. In the 1930 census, Etta had married Adolph J Asmann (b. 16 Jun 1875California – d. 9 Mar 1956 San Francisco) Adolph had no occupation and Etta was managing her apple farm in Analy Township, Sonoma, California. By the 1940 census, Adolph was living with his brother-in-law in San Francisco and claimed he was widowed. Etta’s sister-in-law Kittie Nelson (b. 1882 Norway) was living with the family. In the 1940 census, Etta, her daughter Virginia and her mother Lillian were living at Guerneville River No 12 Route 2, Sonoma County, California where she operated an apple farm. My grandmother Genevieve was fond of Uncle Gene and Aunt Lillian. Their daughter Etta married Edward Nelson, and she and my grandmother corresponded. Genevieve always went to visit Etta when she was in Northern California. My mother remembers driving down a dirt road to a ranch house to visit them when her family went on the famous trip to Victoria in the summer of 1941.
vi. Frank Horton Miller (10 Apr 1887 Plymouth, Iowa – Oct 1975 Solano, California) m. before 1910 census probably in Analy, Sonoma, California to Eva May Hunt (1880 Illinois – 1953 Solano, California). Eva’s mother came from Denmark. In his World War I draft registration, Frank was living in Rio Vista, California and working as a ranch foreman on Tyler Island. Frank was a farm manager in Burnett, Santa Clara, California in the 1930 census. In his World War II Draft Registration, Frank and Eva were living in Vacaville, California. Frank and Eva are buried at Rio Vista Masonic & Odd Fellow Cemetery, Solano County in plot 1188.
vii. Mary Eliza Miller (6 Jun 1889 in Iowa – 27 Dec 1968 in Grants Pass, Josephine, Oregon); m. 12 Apr 1911 Oakland, California to Clyde Milton Hamilton (18 Nov 1886 Kansas – 30 Jun 1969 Los Angeles). Clyde’s parents were from Ireland. Clyde was tenant farmer a in Belleview, Jackson, Oregon in the 1930 census when Mary and Clyde had seven children living with them. According to Bernard W. Houston, Mary Eliza Miller had three grand-daughters born in Queensland:Alma Mary Hamilton/Houston and Juanita Hamilton/Goodland,daughters of Clyde Frank Hamilton,ex US Army. Another daughter Barbara Bethea Hamilton died soon after birth. viii. Kathryn “Katie” Rachel Miller (3 Nov 1893 Sonoma Califonia – After 1920 Census) In 1919, Kathryn sailed to Hawaii on the Sachem. In the 1920 Census when she was living with her parents in Ashland Oregon and working as a public school teacher. Frank was 22 and living with his mother in Oshkosh, Winnebago, Wisconsin in the 1880 census. Henry’s wife Dorothea Carr was born 13 Mar 1910 in Oak Park, Illinois. Her parents were Peter G. Carr and Caroline Francis “Carrie” Taft (Sep. 1845 Pennsylvania – 6 Dec 1919, Cook County Illinois) Peter married Blanche E Simpson, daughter of William Simpson & 1st wife, Eliza A. (Summers), on 1 September 1908 in Berrien, Michigan. Dorothea died 7 Apr 1991 in Alameda County, California . 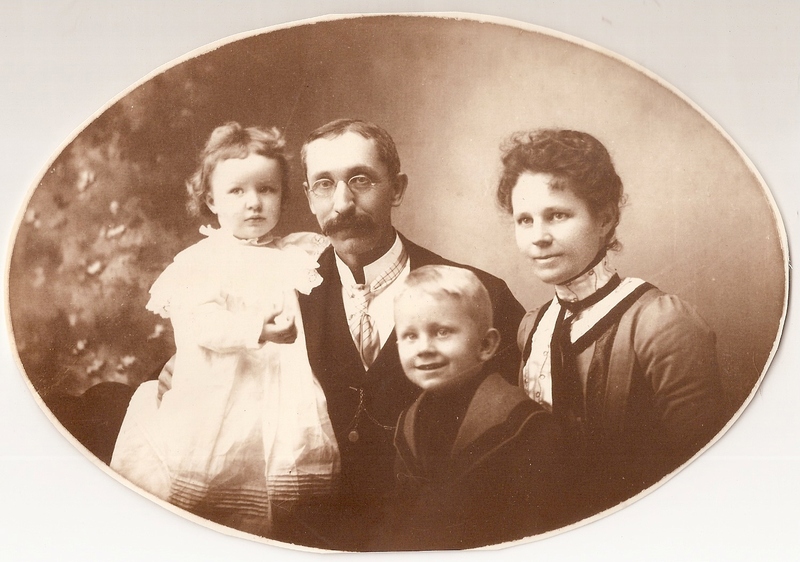 Dorothea’s father Peter George Carr was born 24 Dec 1881 in Chicago, Illinois. His parents were George Patrick Carr (b. Feb 1848 in Scotland) and Carolyn (Carrie) S. Toff (b. Sep 1847 in Pennsylvania). In his 1918 Draft Registation, Peter was an Importer for the US Navy at the Union Iron Works in San Francisco and living at the corner of Magee Ave and Summit Ave in Mill Valley. In the 1920 census, Peter was living in Sausalito and working as an Electrical Engineer. In the 1930 census, Peter, Blanche and Dorothea were living in Mill Valley. In the 1940 census, Peter and Blanche lived at 394 Magee Avenue in Mill Valley. The home was built in 1915 since Peter was living there in 1918, I assume he was the original owner. Zillow.com’s current market estimate is $2.2 M. Peter died 14 May 1963 in San Francisco. This 3255 square foot single family home has 3 bedrooms and 4.5 bathrooms. It is located at 394 Magee Ave Mill Valley, California. Dorothea’s mother Blanche Simpson was born 3 Apr 1881 in Michigan. Her parents were William Simpson (b.Nov 1841 Indiana) and Lucy L. Farley (b. Jul 1856 in Michigan) (It’s possible I have her parents birth states wrong because her census records are inconsistent. 1910 shows Indiana and Michigan, 1920 shows Maryland and Michigan and 1930 shows Maryland and Maryland. William and Lucy did live in Berrien, Michigan where Blanche is buried) Blanche died 24 Oct 1945 in San Francisco and is buried in Long Lake Cemetery, in Berrien, Berrien, Michigan. In the 1930 census, Henry was living with his widowed mother in San Francisco and working as a Comptroller in an Insurance Company. Agnes’ record states that her parents were from Northern Ireland, so maybe they weren’t Catholic after all. Curiously, Agnes’ 1920 census report states her parents were from Massachusetts and in the 1900 census she said her father was from Massachusetts and her mother from Ireland. Ancestry.com has indexed the California 1940 census. Henry was a Comptroller at State Compensation. Henry’s income was over $5,000 (a bit higher than his neighbors) Dorothea was a freelance magazine writer. Note she was 13 years younger. My grandmother discouraged his interest in a nice young woman that was a family friend because she was so much younger. She thought the final result was ironic. Anne Neisler 35 (Lodger) Anne had been a secretary at a railroad, but had been out of work for 5 weeks. Thesis (M.S. )–University of California. Sept. 1923. Dorothea wrote a letter to the UC Board of Regents in the 1960’s. Letter from Mrs. Dorothea Carr Miller, Sausalito, objecting to the policy expressed by the President in refusing to take requested steps (1) to establish grievance procedures for complaints made by members of the general public against a University officer or employee, and (2) to permit volunteer groups to make surveys of the research activities of the University for public information purposes; and requesting The Regents to appoint an ad hoc committee to make improvements in grievance procedures. i. Henry Carr Miller b. 20 Jul 1936 Sausalito, Marin, California. m. Janice P [__?__] Per US Public Records, he was living in Greenbelt, MD in the 1980’s and 1990’s. Greenbelt is less than a mile outside of the DC Beltway, not too far from College Park. In 1970 he published a book on nuclear physics. Henry and Janice are now living in Tazewell in western Virginia. He and his wife are amateur radio operators call signs W3BWN and WB3KFA. This entry was posted in -4th Generation, College Graduate, Line - Miller and tagged San Diego. Bookmark the permalink. I am new to the blog and site; very well done! Regarding Edith Brewster Palmer listed here, and her father Thomas Brewster Palmer, I wonder where the middle name “Brewster” came from. Perhaps they were aware of their having descended from Elder William Brewster, through a Thomas Branch Palmer, his mother Zipporah Branch, and her mother Mary Brewster. Any ideas? It would seem odd to simply pull a middle name like that out of thin air, so it would seem they knew. I did a little digging. You’re probably right, Edith’s 3rd great grandmother, Mary Brewster was a descendant of Mayflower Pilgrim leader William Brewster. Notice how Nathaniel’s father’s name comes from his grandfather and Mary Brewster’s husband, Thomas Branch. Yes, I just became aware of the Brewster artwork on the Capital Dome last night, by looking at this website. I was quite happy about it, because I am a descendent of Nathaniel Bradley Palmer. My mother was a Palmer. I am extremely familiar with those branches of the Palmer that pertain directly to me. The Branch branch probably (but not certainly) traced back to a Richard Braunche, an ancestor of Thomas Jefferson. There are several of those kinds of links to famous people, but only as “relatives,” not direct ancestors, and all of them are a little suspect in my opinion, though not necessarily wrong. Then coming off my Palmer ancestry are many certain, “famous” ancestors, all documented beyond a reasonable doubt. Besides William Brewster, there are William Coddington of Rhode Island and Anne Marbury (Hutchinson) of Massachusetts and Rhode Island, plus some others. Anyway, for your general interest I can tell you, and you probably already know, that the Palmer line goes back to one of the founders of Stonington, Connecticut, Walter Palmer. The Palmers, Stantons, Dennisons, Noyes and Lords are all my ancestors. Minor, Chesebrough, and Mason are only related to me my marriage. It is facinating how these people all married each other, probably because the choices for spouses were not that broad. Nathaniel Bradley Palmer’s wife Julia Bryan’s ancestors all came from Milford, Connecticut, where a similar pantheon of intermarried colonists set up camp in the same way as happened in Stonington. The surnames that come to mind are Bryan, Fowler, Clarke, Rogers, Baldwin and Tapp (all my ancestors). As you may know, my paternal immigrant ancestor Thomas Miner married Walter Palmer’s daughter Grace. It seems Walter may have been a very powerful father-in-law. I’ve wondered how their relationship went. His son Jonah Palmer is also a direct ancestor. Did you see my pages on them? this weblog, this webpage is really remarkable. Mary Eliza Miller had three grand-daughters born in Queensland:Alma Mary Hamilton/Houston and Juanita Hamilton/Goodland,daughters of Clyde Frank Hamilton,ex US Army. Another daughter Barbara Bethea Hamilton died soon after birth. Bernard W.Houston. My grandmother Genevieve was fond of Mary Eliza’s parents, “Uncle Gene and Aunt Lillian.” Their daughter Etta married Edward Nelson, and she and my grandmother corresponded. Genevieve always went to visit Etta when she was in Northern California. My mother remembers driving down a dirt road to a ranch house near the Russian River to visit them when her family went on the famous trip to Victoria in the summer of 1941. She’s sorry she wasn’t too interested in family history at the time – lol. It took me a minute to figure out the 3 Australian grand daughters are the same generation as me and my two twin sisters (Mark, Janet and Ellen). Did Clyde come to Australia via the US Army, meet someone and stay? Wonder where in Queensland. Thank you for your note, I am glad this site was helpful. Do you know the story of Henry and Dorothea and my family> My grandmother (Henry’s brother) told him that he should not marry her and Dorothea found out. She cut off relations with the family. Henry could only see his sister and my mom (his niece) at lunch near his work in San Francisco on visits from San Diego. So we don’t know much about Dorothea. From what I have found out, she was an interesting woman.